A week after southwest and south central Colorado saw a slight retreat in extreme and exceptional drought, recent snow helped drive small improvements for southeast Colorado conditions. Up to one-half inch of liquid equivalent was recorded across the area. Extreme drought retreated from parts of eastern Custer and Huerfano counties, along with a sliver of southwest Pueblo County. Severe drought gave way to moderate conditions in much of southern Pueblo County, eastern Otero County and northern Las Animas County. 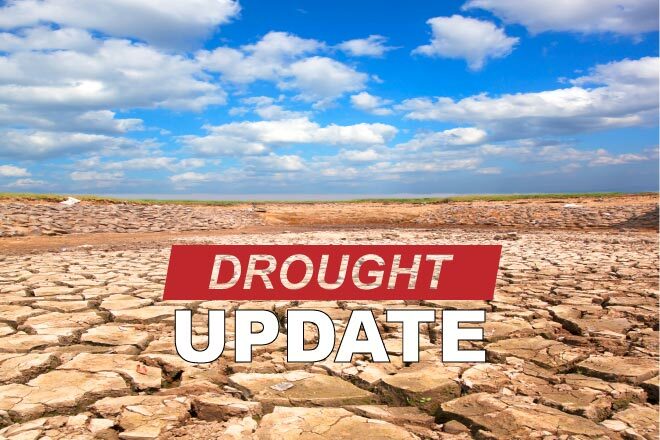 Moderate drought was replaced by abnormally dry conditions across most of Otero County. Southern Bent County moved in to drought-free conditions, along with the northeast corner of Las Animas County. 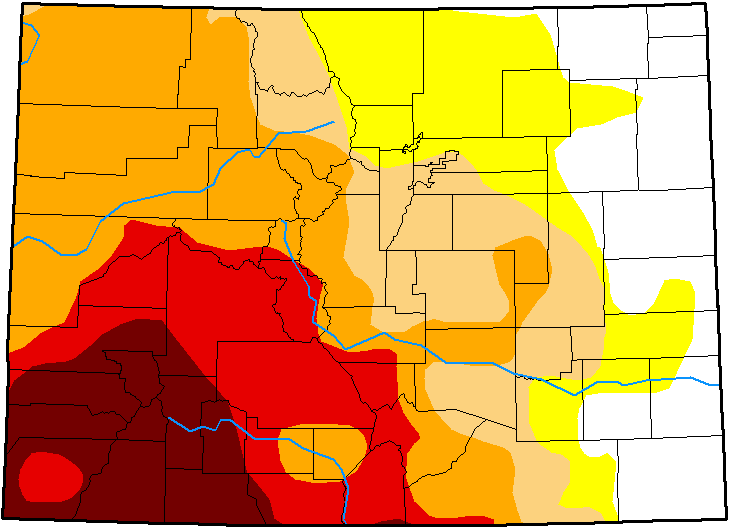 Overall, despite the improvements, few changes were noted within drought categories. 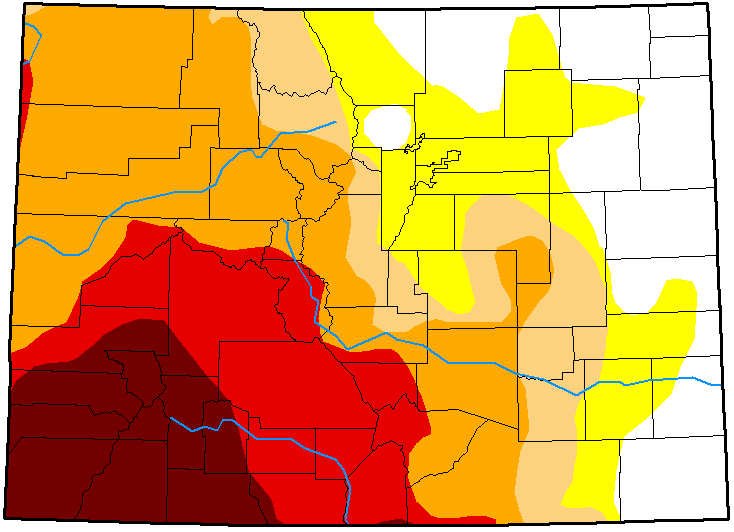 Sixteen percent of Colorado was drought-free, up one point from a week ago. Abnormally dry and moderate drought conditions covered 16 and 15 percent of the state, respectively, unchanged from the prior week. Severe drought improved one point to 28 percent of the state, while extreme and exceptional conditions were stable at 15 and 11 percent, respectively. Totals do not equal 100 percent due to rounding. One year ago, just one percent of Colorado was drought-free, while 24 percent was abnormally dry. Moderate drought covered 53 percent of the state, was 23 percent was experiencing severe conditions. Colorado's river basins saw improvements in snow water equivalent - the amount of liquid in the snowpack. 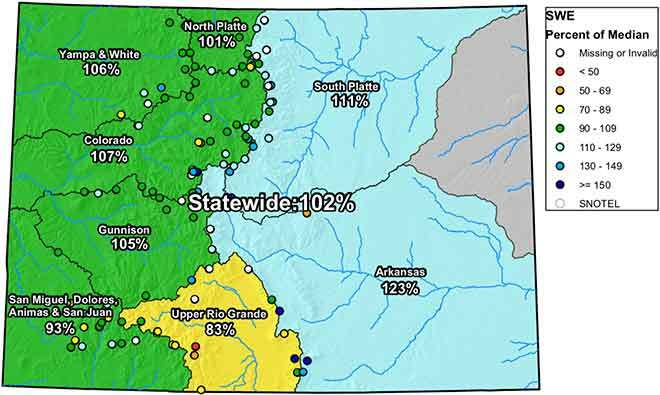 In eastern Colorado, the South Platte basin moved from 109 percent of median for this time of year to 111 percent, while the Arkansas basin increased from 109 to 123 percent. The North Platte basin shifted to 101 percent from 99, while the Yampa and White basin stands at 106 percent, up from 101. The Colorado basin moved from 102 to 107 percent, while the Gunnison basin improved from 94 percent to 105 percent of median. Southwest basins continue to lag, with the San Miguel, Dolores, Animas and San Juan basin moving to 94 percent of median from 78 percent, and the upper Rio Grande shifting from 75 percent to 83. Overall, the state's snow water equivalent stands at 102 percent of median, up from 94 percent one week ago.